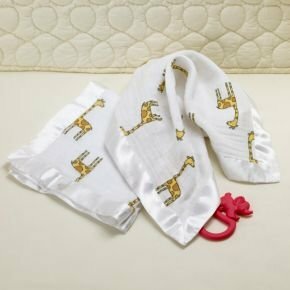 Designed to be worn over pajamas, this 100% cotton wearable blanket by aden + anais eliminates the need for loose blankets in the crib for a safer sleep. The single layer of breathable muslin also helps reduce the risk of overheating, ensuring a peaceful sleep for baby and you. The sleeping bag's zipper opens from the bottom, making nighttime changes easy. Machine washable, it stays soft wash after wash.